The execution chamber at the Angola prison facility. 'We find the state trial court allowed an avowedly biased juror ... to be seated on petitioner's jury,' Drell wrote in his ruling, issued last Thursday. 'The juror ... was never otherwise rehabilitated, nor did he ever indicate he would weigh the evidence and/or decide the case fairly and impartially,' Drell wrote. 'Accordingly, we find petitioner's unreliable conviction cannot be the basis for criminal punishment, much less a sentence of death. ... he has met his burden to have that conviction vacated and for a new trial,' the ruling states. The convicted man, Willard Allen, and his attorney, James Calhoun, expressed relief and support in the aftermath of the ruling. According to Calhoun, "[The ruling] addressed the points in a very solid way, and we appreciate the hard work that went into the result," said New Orleans attorney, Andrew Lee, who was appointed in 1999 to assist Mr. Allen with his post-conviction relief. This comes as welcomed news for the Lousiana anti-death penalty community. Aside from Texas, Florida, and Oklahoma, Louisiana ranks near the top of the list for most executions by state. Moving forward, the case will be returned to the state court with explicit instructions to conduct a bail hearing within 45 days. Additionally, the state now has 270 days to decide whether they will retry the case. If nothing proceeds from here, Judge Drell states that the state must, "unconditionally discharge petitioner from custody." What is your opinion of capital punishment in the United States? Do you support or oppose it? 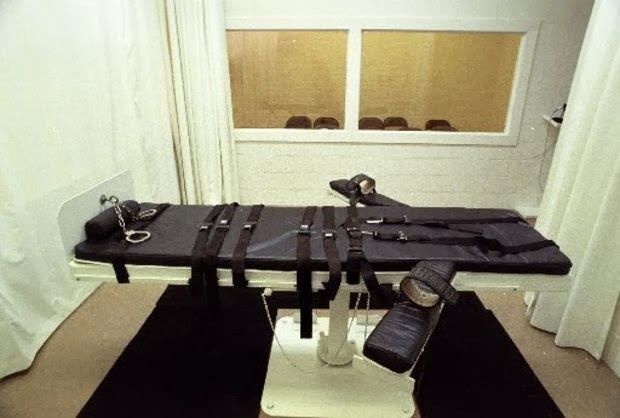 Are there any circumstances under which capital punishment is defensible? Stay tuned to www.nola.com and www.joeylehrman.net for additional updates on the case.